With the debut of The Congress trailer, it’s now officially on my must-watch list for 2013. It follows a seemingly simple enough plot, loosely based on Stainslaw Lem’s “The Futurological Congress”: An aging, out-of-work actress accepts one last job, though the consequences of her decision affect her in ways she didn’t consider. She’s scanned and copied and now the Hollywood studio owns her digital, younger self. But is this perfect copy able to feel? Is it real? How many Robin Wrights are out there now? 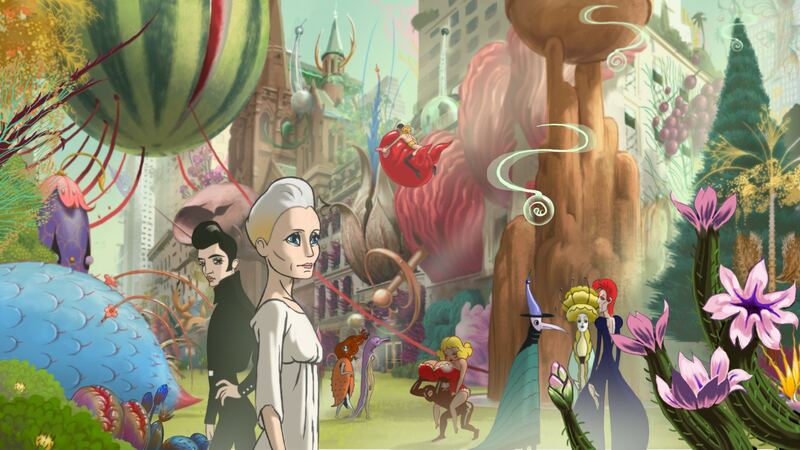 Starring Robin Wright as a fictional version of herself and the many animated variations after the scan, this definitely looks like an original idea with interesting execution. The hybrid live-action and animated film is the opening night film for the Directors’ Fortnight selection at Cannes Film Festival, which kicks off this week. UPDATE: The trailer has been removed, but you can still watch it here. Directed by Ari Folman (‘Waltz With Bashier’), starring Robin Wright, Harvey Keitel, Kodi Smit-McPhee, Danny Huston, Paul Giamatti and Michael Stahl-David. Official US release is still unannounced, but I can’t wait to see this flick.